Health insurer Anthem (NYSE:ANTM) is almost completely withdrawing from the Affordable Care Act markets in Wisconsin and Indiana in 2018. The company said, “After significant dialogue with state leaders and regulators Anthem has made the difficult decision to reduce its 2018 Individual plan offerings in Wisconsin and Indiana.” Anthem’s decision does not affect the company’s business selling employer-based health coverage, Medicare Advantage, or Medicaid plans in those states. 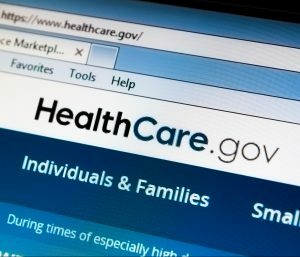 Anthem now says it will offer just one individual health plan outside of the HealthCare.gov marketplace in a single county in Wisconsin. Anthem will also sell one such plan in five Indiana counties. These actions allow the insurer to avoid a five-year ban imposed on insurers who completely exit a state’s individual health plan market. Anthem said that a “volatile” market for individual health plans and “uncertainty” about the federal government’s stance on the act’s rules and regulations contributed to the decision. Republican leaders in Congress are currently working on legislation that could repeal and replace key parts of the health care act. The insurer was also concerned about whether the current administration will continue paying insurers billions of dollars in reimbursements for subsidies for low-income customers. Thus far, Congress has refused to make a long-term guarantee to continue paying these cost-sharing reimbursements to insurers. Without those reimbursements, insurers say they will have to significantly raise their premium prices. Anthem’s exit from Indiana and Wisconsin will not leave any areas with no insurer. Assuming the other insurers in Indiana and Wisconsin continue their business there, all counties in these states will still have at least one insurer in the marketplace.